The 30 minute ride on one of the tallest ferris wheels in the world can be had at the Linq’s High Roller in Las Vegas. It will cost $20 to $30 per person to visit this attraction. 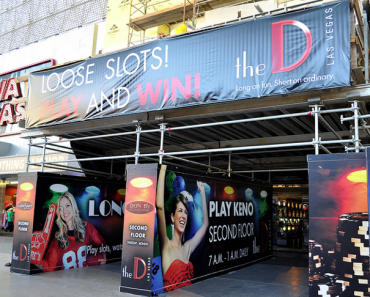 The Primo Vegas team has stayed at the Linq a few times since it first opened on the Las Vegas strip a few years ago. This property was extensively renovated and was formerly branded as the Imperial Palace, which was a noisy, tacky dive, that you’d want to avoid staying at if at all possible. 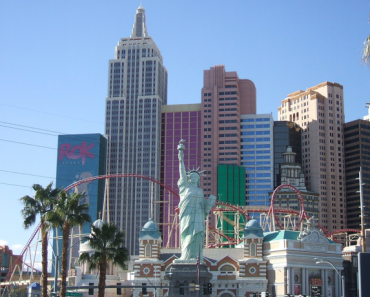 But those days are now long gone, and the Linq, which is anchored to the strip with an outdoor shopping complex and the High Roller ferris wheel, is today a very desirable tourist destination for Vegas visitors. We’d label the Linq as a middle of the road property, being a notch below Paris and the Cromwell, and a few notches below Bellagio and Caesar’s Palace. But a notch above Bally’s and Flamingo. When they first opened the property, it was very attractively priced in the ultra low price range of $35-$45 per night, the strategy being that nobody knew what it was all about and they wanted to get the word out that it was a quality hotel, worthy of recognition. Within about a year of opening, we noticed the average room night cost at the Linq had increased quite dramatically, and today, expect to pay in the $50 to $75 per night range, plus resort fees. Of course, weekends and peak periods will see prices increased well above the figures quoted here. How’s the property you’re wondering. Well we love it. The rooms are funky and cool. Almost a little bit of a 2016 version of Miami Vice. Floor space is smaller than what you’ll find at an older property. But the rooms are exceptionally well laid out, yet compact and convenient in many respects. The space is well designed. And the bathrooms are a pleasure to behold. White tiles and marble looking surfaces give the smaller sized bathrooms a very luxurious feel. Keep in mind that the photos presented in this post are of the basic room. Higher grade rooms are probably larger, yet we suspect the interior design aspects will be similar. Linq Hotel and Casino Las Vegas has smaller but nicely appointed rooms. The Linq’s pool is small but very comfortable. We arrived early in the morning soon after it opened, and easily found a shaded place to sit. The chairs are very comfortable. We have since heard that the pool has become more of a party destination than it was when the property first opened. 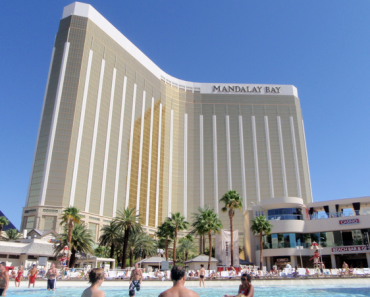 So if you are looking for relaxed peace and quiet by the pool, it might be a good idea to go to one of the nearby pools, like Bally’s or Paris, and see which you prefer best. 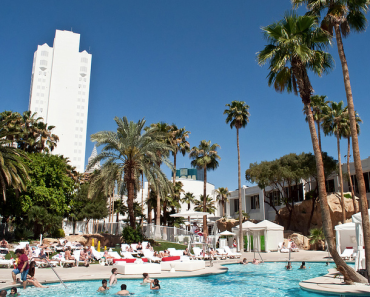 By showing your Linq room key you can access any of the Caesar’s Total Rewards hotel pools that are in the area. Linq Hotel and Casino Las Vegas boasts a very luxurious bathroom and shower enclosure. 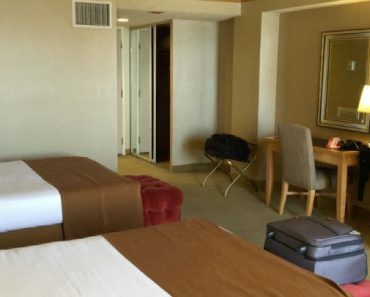 The lobby and casino floor area are very comfortable and open, and we enjoy spending time in the main lobby floor area locations of this hotel. 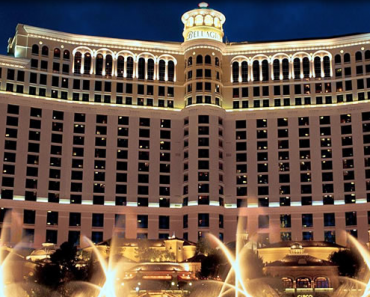 There is good air circulation, and it is not as noisy and smokey as other casinos. The hotel did offer some nominal discount coupons to ride the High Roller (like $5 off per ticket) so we have not yet had an opportunity to visit the property’s main tourist attraction. 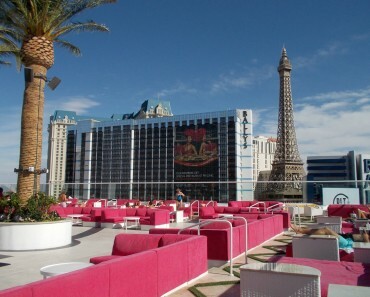 But people we spoke with highly recommended the High Roller during the sunset hour for optimal views of strip. 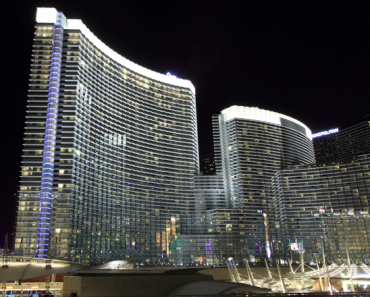 Overall, we very much enjoyed our two visits to the Linq, and would not hesitate to recommend it for those looking for a very well located, mid-priced, Las Vegas strip hotel. Linq Hotel and Casino Las Vegas boasts a very luxurious bathroom area. Rooms at the Linq Hotel and Casino Las Vegas have a cool, funky feel. We'd label the Linq as a middle of the road property, being a notch below Paris and the Cromwell, and a few notches below Bellagio and Caesar's Palace. But a notch above Bally's and Flamingo.